The only thing this 'port' of Duke Nukem 3D, if you can even call it that, has going for it is that it's technically impressive for Genesis hardware. 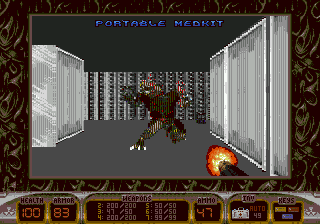 But the tinny music, the garbled sound, the painful dithering on the downscaled graphics, the Wolfenstein 3D-esque level design and numerous other problems make it clear what this is - the officially-licensed equivalent of a bootleg game that tried but failed. Hard. Only worth noting for video game history stuff, because this is just awful. And it isn't even the full game, either! Now you can add videos, screenshots, or other images (cover scans, disc scans, etc.) 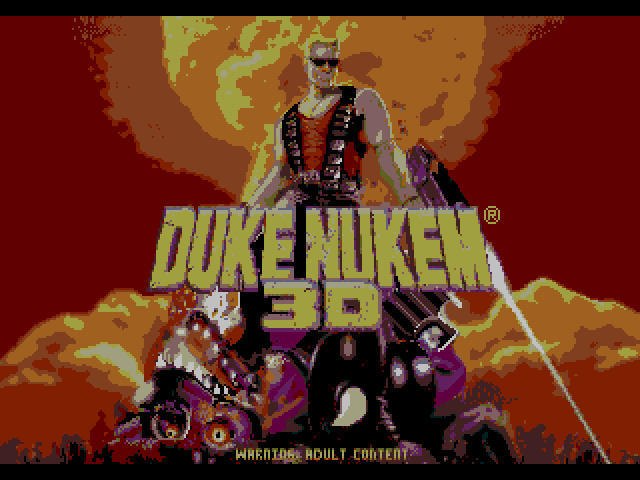 for Duke Nukem 3D (Brazil) to Emuparadise. Do it now! If you haven't noticed yet, we have a retro game of the day feature (top-right of the screen) wherein we feature a new retro title every single day! Now, you can vote for your favorite games and allow them to have their moment of glory. Click on the button below to nominate Duke Nukem 3D (Brazil) for Retro Game of the Day.